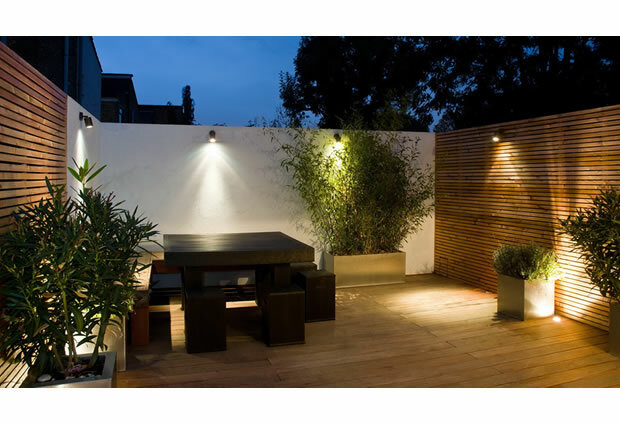 This contemporary garden design in Balham SW12 greatly increases the functional social space for this property in Balham. 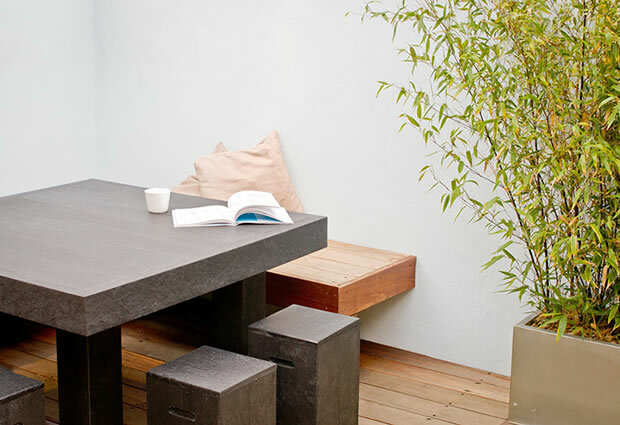 The idea for this garden design was to maximize the use of space, giving multi-functional use due to the size of the garden. Being a family garden it was important to have room for play , social occasions and day to day dining etc . Creating one floor space with no lawn or level changes was the key to this . 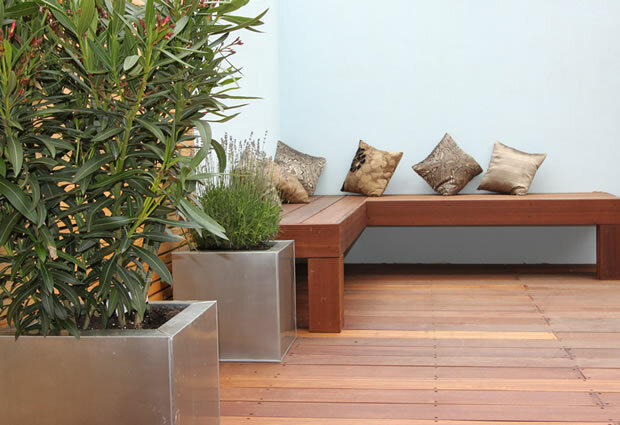 The space then becomes a contemporary courtyard furnished and with pots and plants . Good pot and plant design pot for this type of garden design is essential . 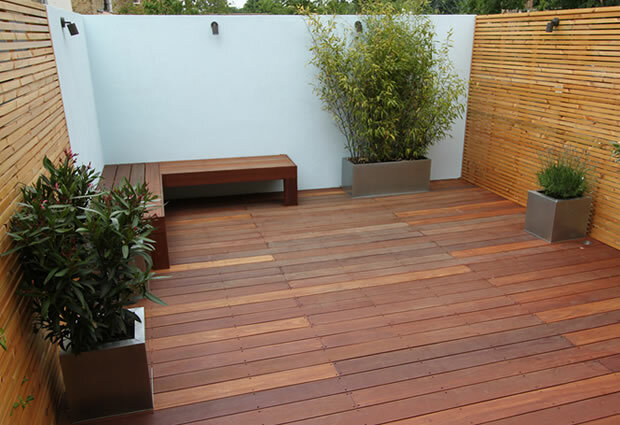 The hardwood Ipe decking makes for a great play space for young children. I am of the belief that you don’t always have to have lawn for a family space. My kids mostly played on our deck, where little tricycles in time made way for skateboards. 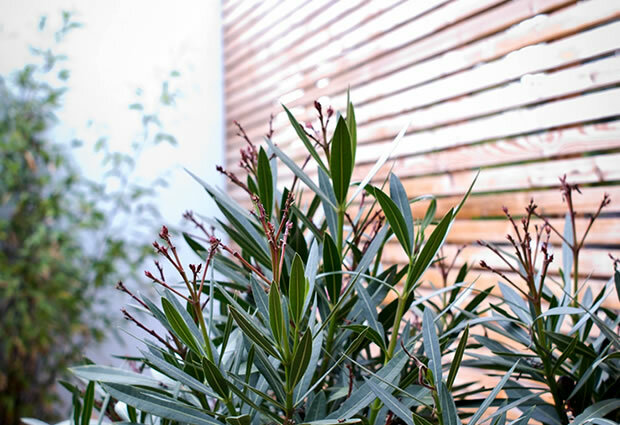 The soft horizontal lines of the contemporary trellis fencing create a relaxing feel. The light coloured feature silicone rendered wall makes for a great back drop for contemporary pots and the Architectural planting, bringing a much need light into this North facing garden. 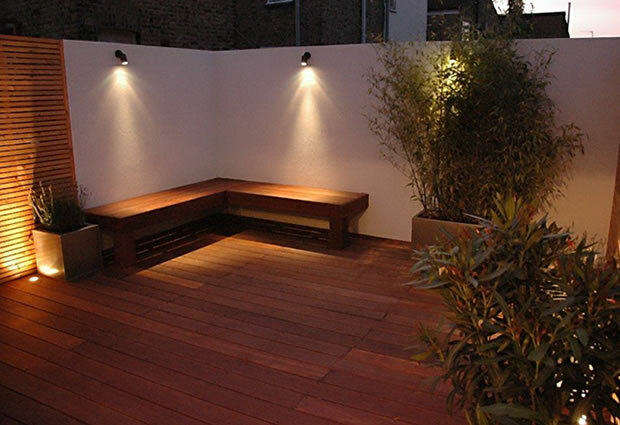 The garden design has minimalist tones, in built bespoke hardwood seating and atmospheric garden lighting. A great space to party also : thanks Peter !! 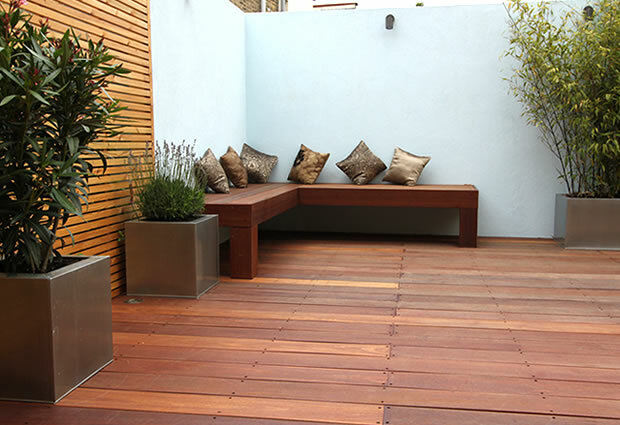 Outdoor rooms are progressively becoming more and more popular in Urban Gardens of London as gardens are being seen as an extension of the interior liven space . Its great to have a multifunctional outdoor room style of garden that can be used for family dining , children splay area, and party area for those special occasions . They are low in maintenance and easy to use . 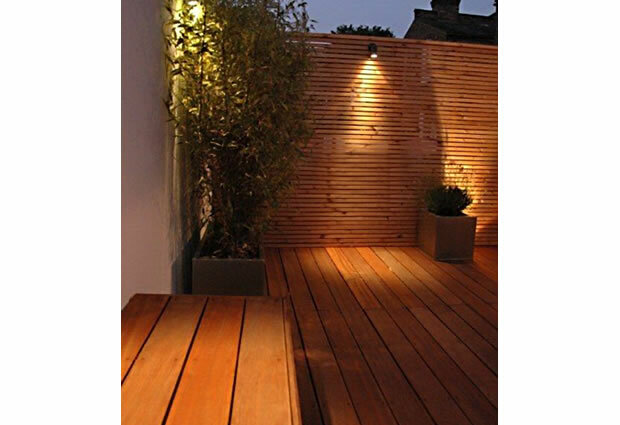 Please feel free to get in touch for a free consultation and site visit to discuss your project requirements and ideas with one of our in-house professional garden designers or horticulturalist.